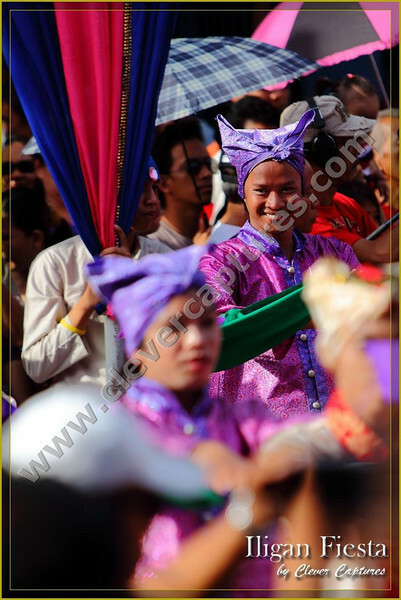 The Iligan Fiesta Street Parade is a very colourful event indeed! Love Mae and I both decided to shoot this with a variety of lenses. It was very hot even at the 7am start! Concentrating of getting the best images that we could made it hotter still! The costumes were brillant, the light was plentiful and the dancing was exuberant and talented! There are a few personal shots in here of friends so we particularly hope you all enjoy looking through these to remind you of the day. Tim an Marcus were judging the "Horsearellas" (thats my name for them as I frget the actual name but they are a non-motorised "Motorella" so my description seems appropriate lol). Tim and I were singled out by the media for a live TV interview and Love Mae did a great job of capturing this part of the day (thanks Sweetheart!) I was allowed to give Clever Captures a mention and in the next few hours, 4 people mentioned to me they saw me on TV and a couple recalled my advert for CC! Brilliant! It was a great day with good company and a zillion smiles. What a GREAT place the Philippines is! especially ILIGAN! !